Now, payments to Kirana Stores & Small Merchants can be done using mobile via IMPS! National Payment Corporation of India (NPCI) has extended its Interbank Mobile Payment Service (IMPS) to merchants in a bid to facilitate micro payments for service transactions at a cost of 25 paisa per transaction. "There are around 10 million kirana stores, but the total number of point of sales terminals in India is less than seven lakhs. IMPS will facilitate micropayments over the counter electronically" said A P Hota, MD & CEO, NPCI. The Person-to-merchant (P2M) service could potentially see customers going cashless to facilitate daily payment needs for shopping at common hot spots like kirana stores. NPCI’s website states that SBI, Union Bank of India, Kotak Mahindra Bank, ICICI Bank, HSBC Bank, Canara Bank, Standard Chartered Bank and Yes Bank are currently participating in IMPS merchant payments. 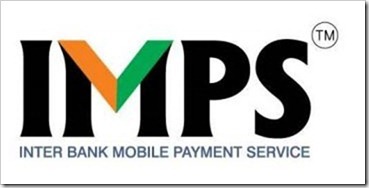 Other public and private sector banks including Axis Bank, HDFC Bank, Citibank, Bank of Baroda and IDBI Bank are either in the testing or development phase for IMPS merchant payments. Customers of any participating bank will need to register themselves with their bank’s IMPS network. Merchants will be required to register with a single participating bank and avail access to its IMPS network. P2M services can be availed 24/7 and virtually anywhere as long as parties have access to required information including one time passwords (OTP), Mobile Money Identifier (MMID), Mobile PIN (M-PIN), amount and the payment reference. Registered mobile users will be able to make payments of up to Rs. 5,000 for transactions initiated via SMS. High value transactions of up to Rs. 50,000 can be initiated by accessing mobile banking apps. Services including mobile recharges, insurance premium payments, utility bill payments, DTH top ups and ticketing payments were already accessible on the IMPS merchant payments platform. With extension of the platform’s services to over-the-counter (OTC) payments, customers will effectively be able to make cashless transactions as long as they, and the merchant, are registered on the IMPS network. Services like IMPS will potentially bring in more walk-ins for merchants and reduce chances of forgoing customers because of lack of change. These services can also pose as mode of payments which are potentially cumbersome from taxation and inventory management perspectives in the initial ‘change-over’ period. There will certainly be a section of the population who will prefer carrying notes and coins as opposed to remembering and punching in a string of numbers including MMID, M-PIN and OTP. However the tech-savvy and mobile friendly Indian will happily venture out to the neighbourhood kirana shop to pay for milk and bread via P2M. Mobile facilitated OTC transaction like IMPS pose to be a savior in classic situations where a grocery shop is closer than an ATM. As the mobile user base in India grows leaps and bounds it is likely that the concept of cashless shopping will be welcomed by the masses. Commentators will wait with bated breath to see if it remains an alternative mode of payment or has the potential to transform itself into a primary payment mode for the billion plus population. What’s your take? Can IMPS micropayments become popular and go mainstream? Cyber Cafes: Yet another victim of Smartphones? Alternatives to Microsoft Office and why they should be used! India’s Mobile Banking Adoption highest in World! How Indians could revolutionize European Retail market? HDFC launches Mobile Payment Service with Movida! The next business opportunity in India ! Increasing mobile penetration in rural India: one-phone/multiple-numbers at a time. I have a querry. Am handling a project on FMCG and our channels are both Modern as well as Kirana Stores. There exists payment issues (delay in payment from the Kirana Stores & Sunk cost) with Kirana stores, so can you guys suggest that can we use IMPS for receiving credit amount from the Kirana Stores and if it is possible then what are is the process for the same and the cost to be incurred to get it in place and the cost, the merchant would incur per say per 100 rupees of payment. @ Arun : Would I say with certainty that in the next 5 years to go mainstream – Yes. It would take more effort in educating and awareness to the Merchant and Customer alike. The Merchant do not like change and Extra Costs. The Customer is comfortable in paying cash mostly. So I see things improving, hopefully simplifying as well. We will not see a pure-play IMPS based payment solution, but a mix of a few. So square-clones, POS machines, IMPS based payment mechanism AND cash. @ Aliasgar : NFC is still a very closed loop sort of a payment mechanism, primarily used on Metros. But then again, there has also been a substantial expenditure to enable that ecosystem. However, getting it to mainstream means a low-cost option to enable NFC based payments is something worth considering. Till such time that happens, I do not see NFC making too many inroads. Interesting post.. I believe all the above transactions can also happen using NFC as a technology enabler!! If Merchants/Merchants Banks/Customers Banks can shake hands well..the revolution for these kind of small payments would similar to the one India has witnessed some years back for Credit Cards acceptance. 1. The Merchant is the recipient of the money so he shall bear the cost of processing the transaction. I will add though, that this is significantly lower than what you see on the card machines. The Customer WOULD NEVER and SHOULD NEVER pay for a transaction. That’s not in the reckoning at all and a lower cost of transaction helps the Merchant. For a Customer, its just another mode of payment. 2. The cost per transaction is not a rupee for a Rs 100.00 transaction :) , but as the amounts increase, the costs come down drastically. 3. The point of worry as you say is valid. Thus there are 2 versions which can be used for transactions. b) The other where you only need your MPIN and you generate an OTP and the transaction happens on the Merchant’s end. The second one (OPTION B) is clearly a lot simpler. But the need to pre-generate an OTP seems to be a sticky point. This is in the works and should be ironed out. My view is its a chicken and egg story, where there needs to be an incentive for merchants to move to/add themselves onto such a platform. This platform makes sense and would work wonders, if we get to scale. Its not just a simple advertisement that would work or a promotion, its got to be pushed into the market with a similar passion as the Telcos made it simple and affordable for everybody to make a call. Thanks Aditya for clarification – That really clears things out. So what’s your take? Do you think this has potential to go mainstream and become popular. I guess probably 5 years down the line it may become de-facto standard (I mean the mobile payments at merchants), but whether it will be IMPS that will play a key role or will it be some other method…that has to be seen..
At the expense of being pedantic, Ms Vaishnav, may I please clarify the cost of the transaction as you state at 25 paisa is actually ONLY the fee which NPCI charges per transaction. That is NOT the actual processing cost. In effect there are 6 different stakeholders in such a transaction. The 25 paisa what is stated is the fee which NPCI charges per transaction. The Merchant’s Bank charges a fee. A fee which the Payment Solution Provider charges to facilitate this entire transaction. Aditya – Thanks for the comment. Can you tell me who will absorb these costs ? I guess from what you are saying is that the consumer will have to take the hit for the same? right.